I do not know who Gwen is or what she looks like, but GwenView looks good and it's a great application. When it comes to working with images, GwenView offers the right balance of functionality, ease of use, speed of use, and accessibility. 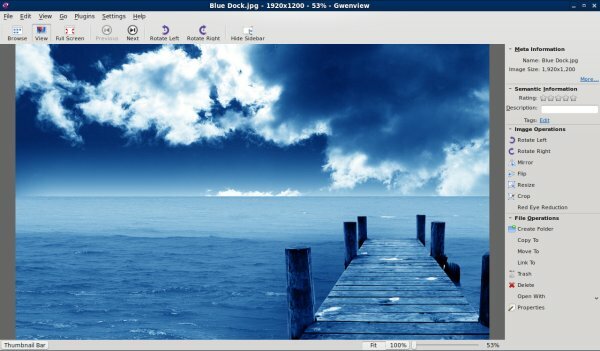 It's not a fully featured image processing suite like GIMP, but for 99% of common daily tasks that the average user might undertake, from rotating, resizing, cropping, and exporting images to online albums, GwenView is ideal. Let's take a tour of this fine tool. GwenView is a KDE4 application, but it will run on Gnome desktops as well. I had it installed on my new laptop running Ubuntu without any problems. 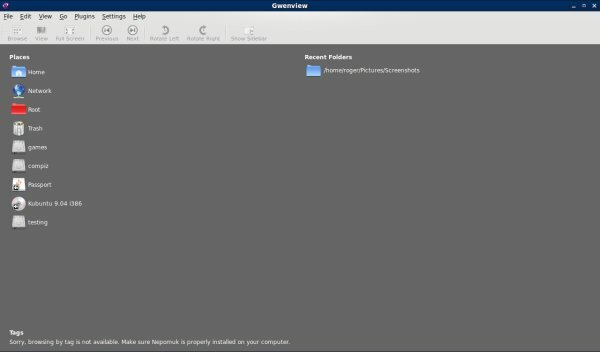 GwenView opens into a file explorer style main interface, with the hierarchy of the home directory listed. From there, click on any category and dig deeper, with a stylish transition into the sub-directories, similar to what you get on Moblin. It's really pleasing to the eye and makes the work a visual joy. Open any file and you get it shown in the center section, with a powerful, most useful quick-action sidebar to the right, containing some of the most popular and needed functions for quick & dirty image editing. 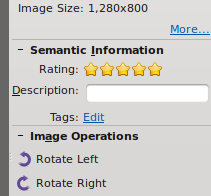 You can also rate the image, add a description or even add tags. This will allow you to easily maintain and search an up-to-date catalog of large picture collections. At any given moment, you can switch to full view and watch a slideshow of your gallery. GwenView has an astoundingly beautiful fullscreen mode, with images displayed in a classy ribbon on the top of the screen. Navigating through images is quite simple: Space to move forward, Backspace to move back, Esc to move up the directory hierarchy one level up. Very simple, very fast and very powerful. 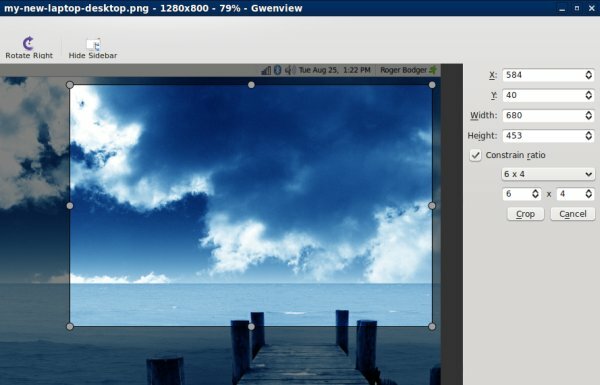 GwenView reminds of IrfanView, a lightweight, powerful image utility for Windows. What makes IrfanView unbeatable when it comes to working ultra-fast are, among many other useful features, the shortcuts. 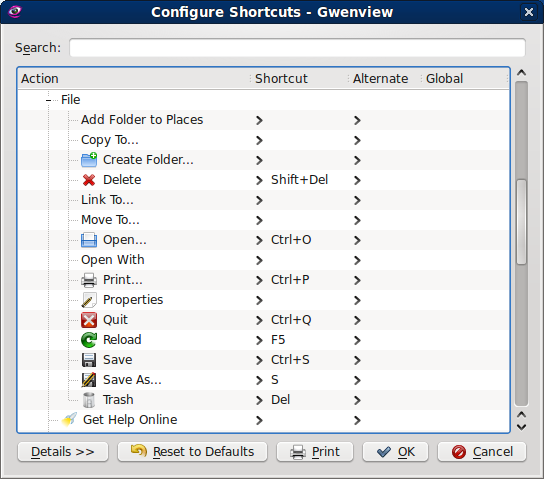 By configuring the shortcuts, GwenView will do the same for you. For example, I configured s for Save As, r for Resize and c for Crop. Thus, a single click on the keyboard gets me instant action. By default, GwenView has very few plugins. If you want to boost its functionality, you want the kipi-plugins. The set of plugins will worth with any KIPI-aware applications, so if you're using other KDE4 programs, like for example, digiKam, they will also benefit from the extras. Or export them to a wide range of formats or maybe online social networking websites. For instance, you can create an HTML gallery of your collection or even a Flash slideshow. You can also upload the images to Flickr, Picasa or Facebook. GwenView also lets you run your images through a whole bunch of simple effects. 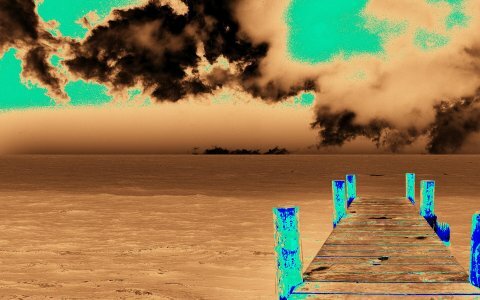 You may want to change the brightness or contrast of your pictures or add all sorts of stylish effects like Charcoal or Solarize. GwenView is a great application. It's light, fast, rich in features, and very beautiful. It's a Swiss-army-style image viewer, with a bit of everything you need. You'll find the most important functions at the tip of your finger. What more, you can install a ton of plugins and make it even more powerful than it is. And with a good use of shortcuts, you'll make it even more productive than it already is. Even so, the basic layout is intuitive and easy to use. You will get to feel at home with GwenView in a matter of seconds. Last but not the least, GwenView looks and feels expensive. You simply love the way it displays the pictures and leafs through the directories. If I had to think of a killer application for Linux, one which Windows users would struggle to find, GwenView comes rather close.